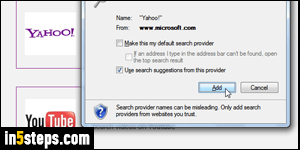 With each new version, Microsoft added more "under-the-hood" functionality to Internet Explorer. 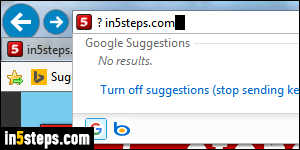 So, even if you've been using this web browser for a while, here are powerful search tips you might not know about. First: how many times did you copy text, opened a Google tab (or other search engine), and pasted the text to search for it? 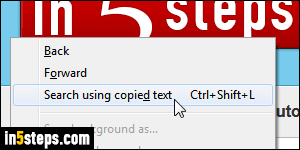 No need to do that anymore: hit the Ctrl+Shift+L keyboard shortcut, or right-click and choose "Search using copied text"! You probably already know that since Internet Explorer 9, the address bar and search box have been merged into a single text field. This means that you can perform web searches straight from the address bar! But if you've ever tried to search for a URL (internet address), you know that IE loaded the URL instead of searching for it. No problem: type a question mark (?) and a space before the URL! Hitting the Ctrl+E keyboard shortcut will automatically do that for you! 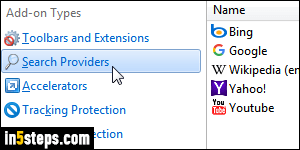 Bing (Microsoft's search engine) is automatically integrated into Internet Explorer, but you can add as many search providers as you like. The easiest approach is to download their spec file from the official "IE Gallery" website, hosted on Microsoft.com. Just select a search provider by clicking on their link, and click Add in the confirmation box that pops up, like on the screenshot. Regardless of your default search provider, you can switch search engine on-the-fly from the address bar by clicking on its logo / button. 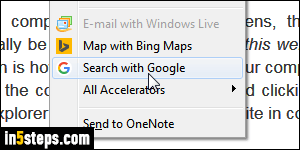 Just typing the question mark will show all web accelerators you have installed that are filed as search engines. In the screenshot, even if Google is the default search (you can tell because it is highlighted), I can click on the Yahoo icon to use it for that particular search! Then, type your query and hit Enter to view the results. - If a web accelerator isn't available for your favorite search engine, you can make the new tab automatically load a custom URL. 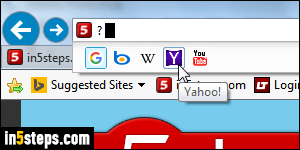 You can also add that search engine to your favorites bar, always just one single click away! - If research is part of your job, you can create folders and subfolders to organize sites in the Favorites menu, and keep your search tools organized!